Lawyers of The Rich Firm, PC have obtained substantial verdicts and settlements in cases involving Umbilical Cord Issues that were negligently managed. Serious injury and disability can result from problems with the umbilical cord during birth. 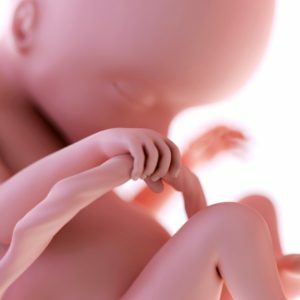 Because the umbilical cord, attached to the placenta, provides blood, nutrients, and oxygen to the fetus, any occlusion of the cord may result in lifelong disability. There are numerous potential complications or abnormalities of the cord, and although some may have not result in clinically significant problems, some may even result in death. Prenatal ultrasound has allowed physicians to diagnose many of these conditions before birth, and if a Caesarean section is required, the doctor should recognize and perform the operation in advance of labor. Other complications may only be suspected when certain risk factors are identified. These conditions include placental abruption, or separation of the placenta from the uterine wall, and monochorionic twins. Umbilical cords vary in length to 300 centimeters. However, some infants have very short cords which are associated with fetal movement disorders, intrauterine constrain, cord rupture, or abruption. Very long cords may result in fetal entanglement, thrombi (blood clot), or knots. The length of a cord cannot be determined by prenatal diagnostic techniques. Cords that are straight are also associated with poor outcomes. Another unavoidable problem with the umbilical cord is the cord with only one umbilical artery. The umbilical cord carries one umbilical vein that supplies maternal blood to the fetus, and two umbilical arteries for removal of waste. Single umbilical arteries are associated with genetic anomalies and a mortality rate of 5% to 20%. Strictures in the cord occur for unknown reasons, but are found in 19% of fetal deaths. They cannot be diagnosed in the prenatal period, and usually result in stillborn infants. The umbilical cord is may insert in the chorion, which is part of the fetal sac, instead of in the placenta. The vessels of the cord then travel to the placenta across the membranes of the fetal sac, and may cause hemorrhage is torn or ruptured. This is also unavoidable, and is known as velamentous insertion. Vasa previa results when fetal vessels are located in front of the presenting part of the fetus, and may be associated with a low-lying placenta. If the vessels are torn when the membranes rupture, the fetus may exsanguinate. This is a condition frequently recognized in the prenatal period, and a Caesarean section is standard. Those children who do not receive a prenatal diagnosis have mortality rates as high as 47%. Either true or false knows may develop in the cord. False knots are kinks. True knots occur in 1% of all pregnancies and they may arise when there is active fetal movement, which often occurs when there is excess amniotic fluid present in the sac. If the cord tightens, there is compression and loss of blood supply and oxygen to the fetus, causing potentially devastating deficits. If the diagnosis is made, and it should be considered in monoamniotic (one sac) twins, a Caesarean delivery should be strongly considered. Prolapse of the umbilical cord occurs when the cord appears during delivery before the birth of the child. This is one etiology of occlusion and subsequent injury, because of compression. If the cord does prolapse through the cervix, it may be compressed. The obstetrician may also be able to manually reduce the cord, but if there is any sign of fetal distress, if the membranes are ruptured, then either immediate vaginal delivery or Caesarean section is indicated. The umbilical may wrap around the neck or other body part of the fetus, again caused by movement of the fetus, this time through a loop of the cord. Fetal monitoring during labor is indicated for evidence of fetal distress when nuchal cord is detected by color Doppler ultrasound. If your labor and delivery resulted in a problem with the umbilical cord, your child may have serious lifelong deficits. Should you wish to discuss this further, the Rich Firm, P.C. has medical doctors on staff that may be able to advise you if negligence on the part of the obstetrician was a causative factor.